After the arrest of Dammy krane on 2nd of june for theft allegations, credit card fraud, identity theft. he was detained in police cell in miami, after his detention, we saw several tweets from his twitter account. 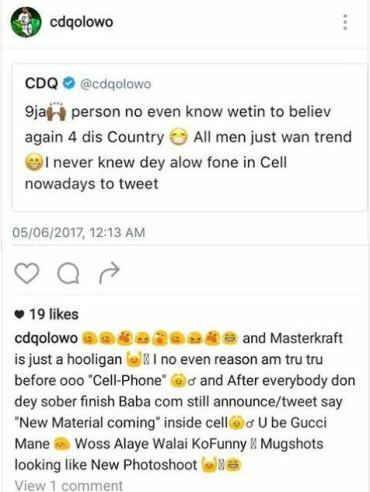 Today, rapper CDQ comes hard on him by reacting on social media over his arrest and tweet. He later deleted the posts but we got the screenshots before he took them down.